I am an associate research scientist in Computer Science at Yale University. My research interests include cyber-physical systems, smart cities and internet of things, machine learning, safety-critical systems, timing safety, and real-time systems. I received my PhD degree in Computer Science at the University of Illinois at Urbana-Champaign, 2017. I received my BS and MS degrees from the department of Computer Science and Engineering of Seoul National University, Korea. I was awarded NVIDIA GPU Grant in 2018. I was selected for and gave an invited presentation at the 2015 MIT EECS Rising Stars, and a recipient of the Richard T. Cheng Endowed Fellowship for 2015-2016. Lui Sha, Marco Caccamo, Renato Mancuso, Jung-Eun Kim, Man-Ki Yoon, Rodolfo Pellizzoni, Heechul Yun, Russell Kegley, Dennis Perlman, Greg Arundale and Richard Bradford, “Real-Time Computing on Multicore Processors,” in IEEE Computer, Vol. 49, no. 9, pp. 69-77, Sep. 2016. Jung-Eun Kim, Tarek Abdelzaher and Lui Sha, “Budgeted Generalized Rate Monotonic Analysis for the Partitioned, yet Globally Scheduled Uniprocessor Model,” in Proceedings of the 21st IEEE Real-Time and Embedded Technology and Applications Symposium (RTAS 2015 at CPS Week 2015), Apr. 2015. Jung-Eun Kim, Tarek Abdelzaher and Lui Sha, “Schedulability Bound for Integrated Modular Avionics Partitions,” in Proceedings of the 18th ACM/IEEE Design, Automation, and Test in Europe (DATE 2015), Mar. 2015. Jung-Eun Kim, Man-Ki Yoon, Richard Bradford and Lui Sha, “Integrated Modular Avionics (IMA) Partition Scheduling with Conflict-Free I/O for Multicore Avionics Systems,” in Proceedings of the 38th IEEE Computer Software and Applications Conference, Jul. 2014. Man-Ki Yoon, Sibin Mohan, Jaesik Choi, Jung-Eun Kim and Lui Sha, “SecureCore: A Multicore-based Intrusion Detection Architecture for Real-Time Embedded Systems,” in Proceedings of the 19th IEEE Real-Time and Embedded Technology and Applications Symposium (RTAS 2013 at CPS Week 2013), Apr. 2013. Jung-Eun Kim, Man-Ki Yoon, Sungjin Im, Richard Bradford and Lui Sha, “Optimized Scheduling of Multi-IMA Partitions with Exclusive Region for Synchronized Real-Time Multi-Core System,” in Proceedings of the 16th ACM/IEEE Design, Automation, and Test in Europe (DATE 2013), Mar. 2013. Man-Ki Yoon, Jung-Eun Kim, Richard Bradford and Lui Sha, “Holistic Design Parameter Optimization of Multiple Periodic Resources in Hierarchical Scheduling,” in Proceedings of the 16th ACM/IEEE Design, Automation, and Test in Europe (DATE 2013), Mar. 2013. Min-Young Nam, Kyungtae Kang, Rodolfo Pellizzoni, Kyung-Joon Park, Jung-Eun Kim and Lui Sha, “Modeling Towards Incremental Early Analyzability of Networked Avionics Systems using Virtual Integration,” in ACM Transactions on Embedded Computing Systems, Vol. 11, no. 4, pp. 81:1–81:23, Dec. 2012. 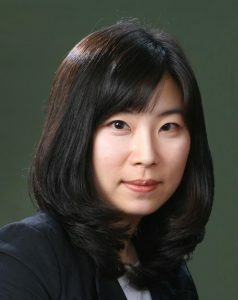 Man-Ki Yoon, Jung-Eun Kim and Lui Sha, “Optimizing Tunable WCET with Shared Resource Allocation and Arbitration in Hard Real-Time Multicore Systems,” in Proceedings of the 32th IEEE Real-Time Systems Symposium (RTSS 2011), Nov. 2011. Jung-Eun Kim, Junghee Han and Chang-Gun Lee, “Optimal 3-Coverage with Minimum Separation Requirements for Ubiquitous Computing Environments,” ACM/Springer Mobile Networks and Applications, Vol. 14, Issue 5, pp. 556-570, Oct. 2009. Jung-Eun Kim, Man-Ki Yoon, Junghee Han and Chang-Gun Lee, “Sensor Placement for 3-Coverage with Minimum Separation Requirements,” in Proceedings of the 4th IEEE International Conference on Distributed Computing in Sensor Systems (DCOSS 2008), Jun. 2008. Min-Young Nam, Mhd Zaher Al-Sabbagh, Jung-Eun Kim, Man-Ki Yoon, Chang-Gun Lee and Eun-Yong Ha, “A Real-time Ubiquitous System for Assisted Living: Combined Scheduling of Sensing and Communication for Real-Time Tracking,” in IEEE Transactions on Computers (TC), Vol. 57, no. 6, pp. 795-808, Jun. 2008. Jung-Eun Kim, Man-Ki Yoon, Junghee Han, Chang-Gun Lee and Eun Yong Ha, “Optimal Sensor Placement method for Construction of Ubiquitous Sensing Infra,” Korea Computer Congress (KCC 2008), Jun. 2008. Jung-Eun Kim, “Timing Analysis in Existing and Emerging Cyber Physical Systems,” Ph.D. Dissertation, University of Illinois at Urbana-Champaign, Urbana, IL, May 2017. Jung-Eun Kim, Richard Bradford, Tarek Abdelzaher and Lui Sha, “Schedulability Analysis for Certification-friendly Multicore Systems,” Technical report, Department of Computer Science, University of Illinois at Urbana-Champaign, Nov. 2016. Lui Sha, Marco Caccamo, Renato Mancuso, Jung-Eun Kim, Man-Ki Yoon, Rodolfo Pellizzoni, Heechul Yun, Russel Kegley, Dennis Perlman, Greg Arundale and Richard Bradford, “Single Core Equivalent Virtual Machines for Hard Real-Time Computing on Multicore Processors,” Technical report, Department of Computer Science, University of Illinois at Urbana-Champaign, Nov. 2014. Jung-Eun Kim, Man-Ki Yoon, Sungjin Im, Richard Bradford and Lui Sha, “Multi-IMA Partition Scheduling with Synchronized Solo-Partitions for Multi-Core Avionics Systems,” Technical report, Department of Computer Science, University of Illinois at Urbana-Champaign, May. 2012. Man-Ki Yoon, Jung-Eun Kim, Richard Bradford and Lui Sha, “Geometric Programming Based Optimization of Multiple Periodic Resources in Hierarchical Scheduling,” Technical report, Department of Computer Science, University of Illinois at Urbana-Champaign, May. 2012. Man-Ki Yoon, Jung-Eun Kim and Lui Sha, “WCET-Aware Optimization of Shared Cache Partition and Bus Arbitration for Hard Real-Time Multicore Systems,” Technical report, Department of Computer Science, University of Illinois at Urbana-Champaign, http://www.ideals.illinois.edu/handle/2142/25909, May 2011. Man-Ki Yoon, Jung-Eun Kim, Kyungtae Kang, Kyung-Joon Park, Min-Young Nam and Lui Sha, “End-to-End Delay Analysis of Wireless ECG over Cellular Networks,” in Proceedings of the 1st ACM International Workshop on Medical-grade Wireless Networks (WiMD), pp. 21-26, May. 2009. Min-Young Nam, Mhd Zaher Al-Sabbagh, Jung-Eun Kim, Man-Ki Yoon, Chang-Gun Lee and Eun Yong Ha. “A Real-Time Ubiquitous System: Real-Time Indoor Tracking of Humans and Objects for Assisted Living,” Technical Report, School of Computer Science and Engineering, Seoul National University, Aug. 2007. Department of Computer Science at the University of Illinois at Urbana-Champaign, lecture of Embedded Systems (CS 431), “Decision-Centric Data Scheduling in Emerging Cyber-Physical Systems I & II,” Apr. 19 & 24, 2018. Department of Computer Science at the University of Illinois at Urbana-Champaign, lecture of Modern Real-Time Systems (CS 598), “Decision-Centric Data Scheduling in Emerging Cyber-Physical Systems,” Nov. 8, 2017. U.S. Army Research Laboratory, Adelphi, MD, “Decision-Centric Data Scheduling for Autonomous Cyber-Physical Systems,” Nov. 1, 2017. The 20th ACM/IEEE Design, Automation, and Test in Europe (DATE 2017), “A Schedulability Test for Software Migration on Multicore Systems,” Mar. 30, 2017. The 37th IEEE Real-Time Systems Symposium (RTSS 2016), “Sporadic Decision-centric Data Scheduling with Normally-off Sensors,” Dec. 1, 2016. Rockwell Collins Inc., Community of Practice meeting, “Sporadic Decision-centric Data Scheduling with Normally-off Sensors,” Nov. 17, 2016. The 22nd IEEE International Conference on Embedded and Real-Time Computing Systems and Applications, “On Maximizing Quality of Information for the Internet of Things: A Real-time Scheduling Perspective (Invited paper),” Aug. 19, 2016. The MIT EECS Rising Stars 2015, “A New Real-Time Scheduling Paradigm for Safety-Critical Multicore Systems” Nov. 9, 2015. The 21st IEEE Real-Time and Embedded Technology and Applications Symposium (RTAS 2015), “Budgeted Generalized Rate Monotonic Analysis for the Partitioned, Globally Scheduled Uniprocessor Model,” Apr. 16, 2015. The 18th ACM/IEEE Design, Automation, and Test in Europe (DATE 2015), “Schedulability Bound for Integrated Modular Avionics Partitions,” Mar. 10, 2015. Rockwell Collins Inc., Community of Practice meeting, “Integrated Modular Avionics (IMA) Partition Scheduling with Conflict-Free I/O for Multicore Avionics Systems,” Sep. 30, 2014. The 38th IEEE Computer Software and Applications Conference, “Integrated Modular Avionics (IMA) Partition Scheduling with Conflict-Free I/O for Multicore Avionics Systems,” Jul. 23, 2014. The 16th ACM/IEEE Design, Automation, and Test in Europe (DATE 2013), “Optimized Scheduling of Multi-IMA Partitions with Exclusive Region for Synchronized Real- Time Multi-Core System,” Mar. 20, 2013. Rockwell Collins Inc., “Single Core Equivalent Configuration for Multicore Avionic Systems,” Aug. 15, 2012. The 32th IEEE Real-Time Systems Symposium (RTSS 2011), “Optimizing Tunable WCET with Shared Resource Allocation and Arbitration in Hard Real-Time Multicore Systems,” Dec. 2, 2011. Chang-Gun Lee, Jung-Eun Kim, and Junghee Han. Sensor Deployment System for 3-Coverage. KR 10-1032998, filed Dec. 30, 2008, and issued Apr. 27, 2011.